Is your child asking for a minion birthday? 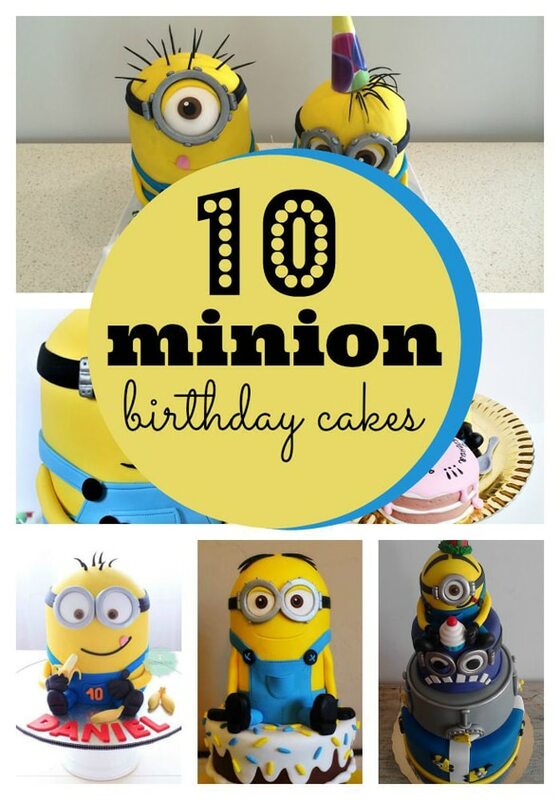 Get started planning with these 10 Amazing Minion Birthday Cakes! A minion birthday is a fantastic kid’s party theme. These little yellow guys are super cute and are loved by so many kids (and adults!) all over the world. With their funny voices and weird movements, it’s not difficult to see why they have become so popular! A Despicable Me themed birthday party will not be complete if you don’t have a super cool minion birthday cake as the centerpiece of your party table. If you’re looking for Minion Birthday Party Ideas for your little minions, these awesome cake ideas will definitely impress. Not only is this theme perfect for boys or girls of any age, these Minion Birthday Cakes will have all of the kids going wild! 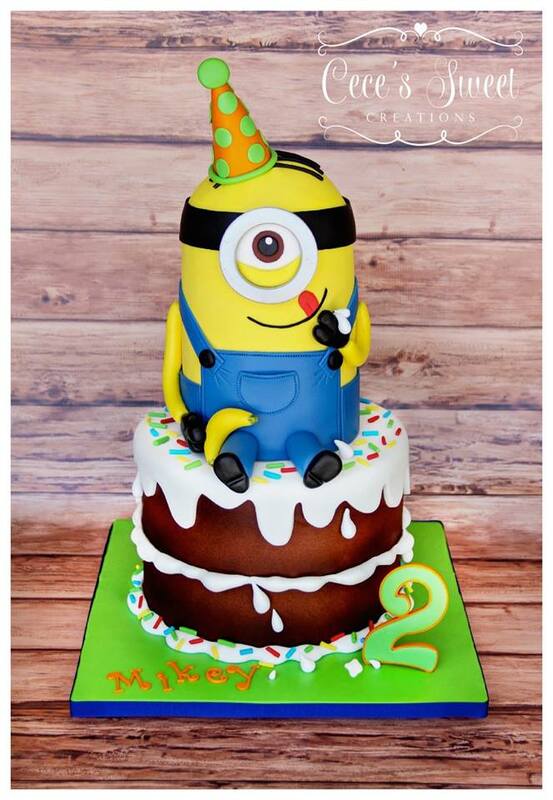 So don’t forget to pin your favorite cake on your Minion Birthday Party Pinterest Board! Minion Cake Idea #1: This bright, colorful, and playful minion birthday cake will definitely be a scene stealer when you make it for your kid’s birthday party! You don’t even have to make everything from scratch! This blue and yellow birthday cake was made from an unwanted cake and transformed into a gorgeous drip cake. If you want to make your own, you can just buy a ready-made cake and add your own little minions to it. Every detail about this cake is well thought out and amazingly put together. 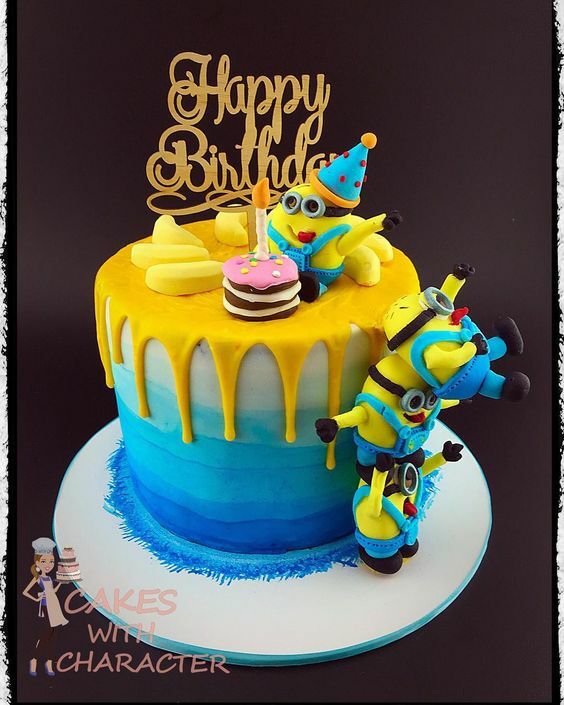 From the trio of minion party guests on the side of the cake to the little minion on top with its party hat and very own tiny birthday cake, everything is just perfect. The beautiful blue ombre, dripping yellow icing and cute, little bananas make this cake just plain awesome! 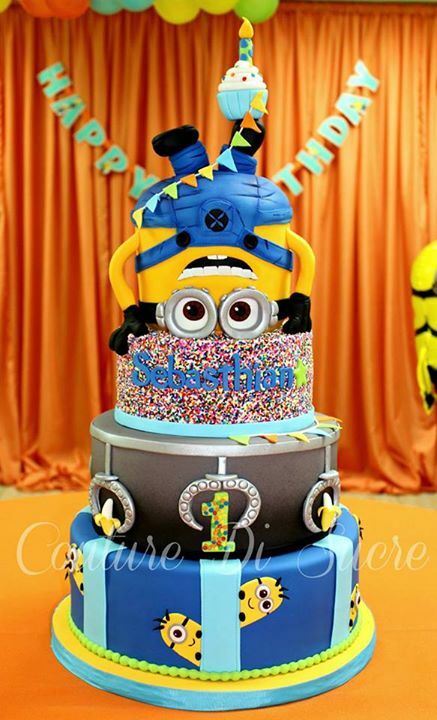 Minion Cake Idea #2: How cool is this three-tiered minion birthday cake? From the beautifully smooth fondant on each layer to the birthday celebrant minion cake topper, this cake definitely looks amazing! The peeled bananas, blue and silver layers, and smaller minions peeking out on the sides of the cakes make this cake gorgeous to look at from all angles. The little cupcake that the minion topper is holding is a great touch! Minion Cake Idea #3: Looking for a large 3D minion cake? This minion cake decorating tutorial has got you covered! 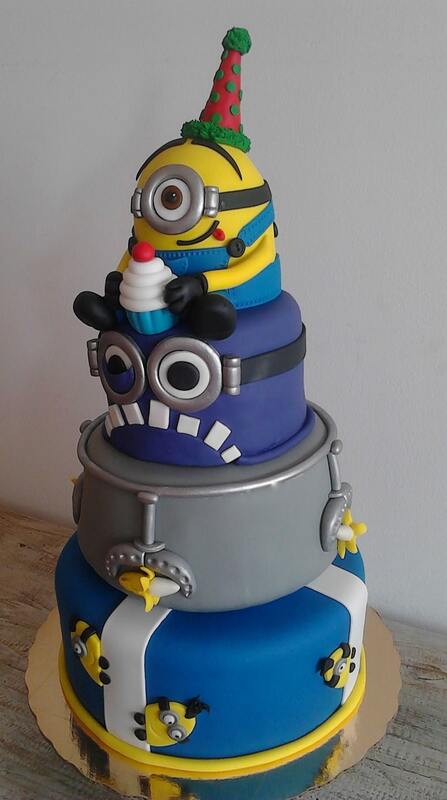 This cake uses a lot of good quality fondant for the minion, so everything looks professionally made. It has a delicious vanilla cake base too. You will definitely have loads of fun decorating this cake! Minion Cake Idea #4: Want a plain, old minion birthday cake that’s not at all boring? How about this cute minion with his own little birthday cupcake? What makes this cake awesome is the attention to detail. From the little tongue poking out to the stitches in his jumper, this minion cake is definitely very detailed. It even has tiny hairs standing up on the top of its head! It has a yummy chocolate cake base too, so all the kids at your child’s birthday party will definitely have lots of fun eating it! 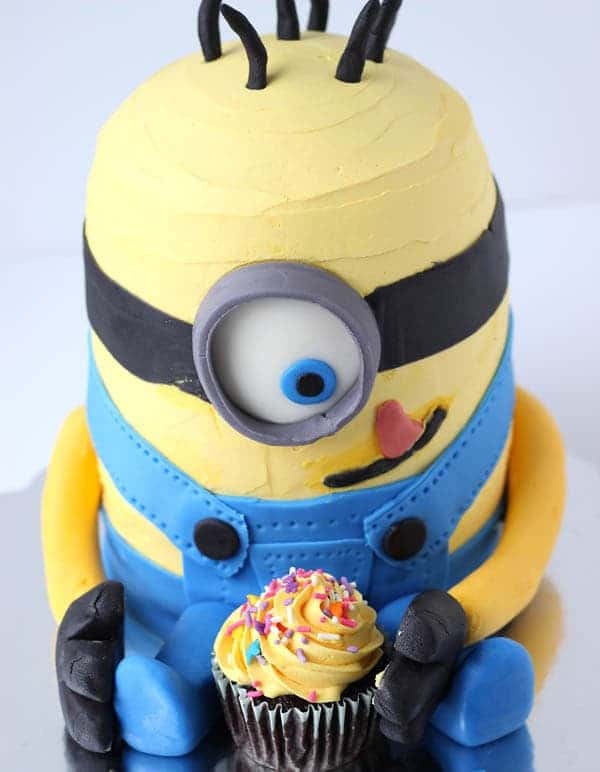 Minion Cake Idea #5: This Minion Dave cake is super detailed and cute, and 100% edible! The detail in this cake is just amazing. From the cute jumper to his mischievous expression, every part of this cake was made extremely well. The blue and yellow sprinkled cake base with white fondant is excellent too. This large cake can serve up to 30 guests! Having a minion birthday cake at your kid’s Despicable Me party is an absolute must! Minion Cake Idea #6: This large 3D minion cake will make a wonderful centerpiece for the dessert table at your child’s birthday party! It can serve up to 60 guests, so you don’t need to worry about running out of cake for your kids and their sweet-toothed, Minion-loving friends! Minion Cake Idea #7: How awesome is this summer beach party-themed minion birthday cake? The Despicable Me minions lounging around and having fun at the beach make this one of the cutest minion birthday ideas, especially if your kid is having a pool party or summer party. The lovely details on each minion, from the cute mermaid bikini to the snorkel and surfboard, makes this cake so awesome. This cake is perfect for chocolate lovers because it has a base of two chocolate lime cakes, lots of chocolate ganache, and a wall of KitKat bars to hold it all together. Sounds delicious! Minion Cake Idea #8: This perfectly decorated yummy chocolate minion cake would be a great addition to any minion birthday party! From the super cute chocolate cake base decorated with colorful sprinkles, to the amazing 3D minion topper, this cake definitely pulled out all the tops to grab everybody’s attention. 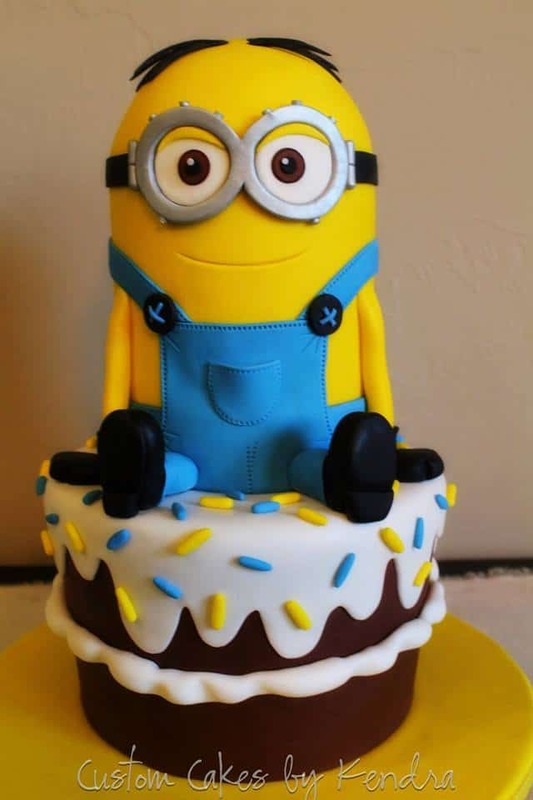 Minion Cake Idea #9: This is one of the most unique minion birthday cakes ever! Everything about this cake looks amazing, and the minion doing a headstand is just the cutest thing (and super creative from a cake design standpoint) too! It even has a bonus cupcake on top of one of the minion’s feet! So adorable! With three layers of yummy cake plus a huge 3D minion on top, this birthday cake is sure to keep your guests’ little tummies full. Minion Cake Idea #10: Who says you can’t have a minion cake at your little princess’ birthday party? 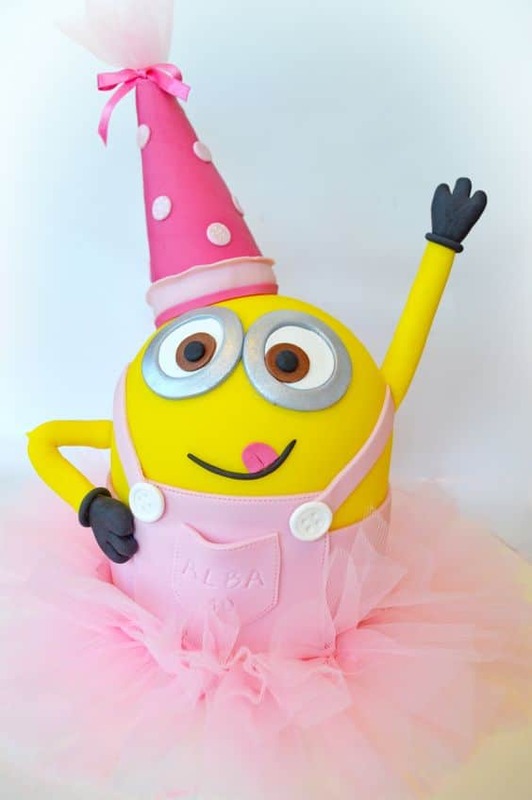 This super pretty minion cake draped in a pink fondant jumper and pink tutu is perfect for a girly birthday bash. Even her party hat is a cute hot pink color! 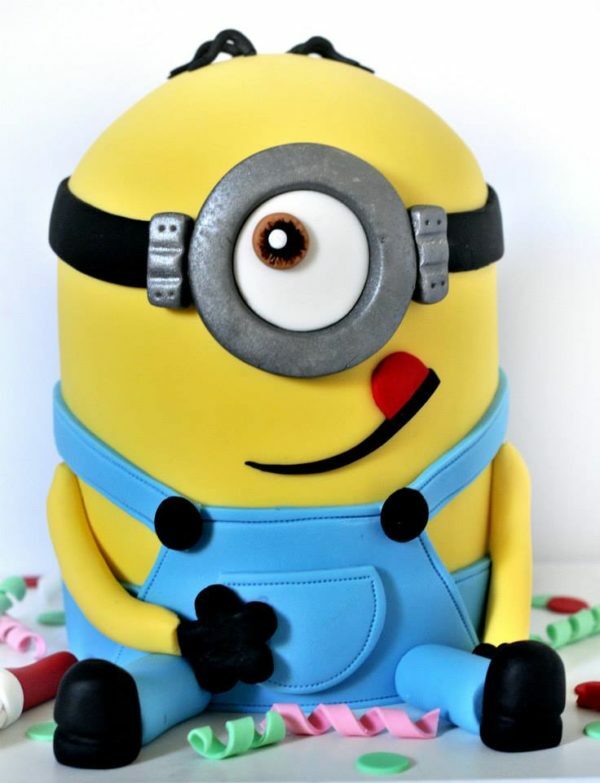 This cute minion birthday cake will definitely make your little one super happy. Having one of these amazing minion birthday cakes at your child’s Despicable Me party will put your event above the rest! 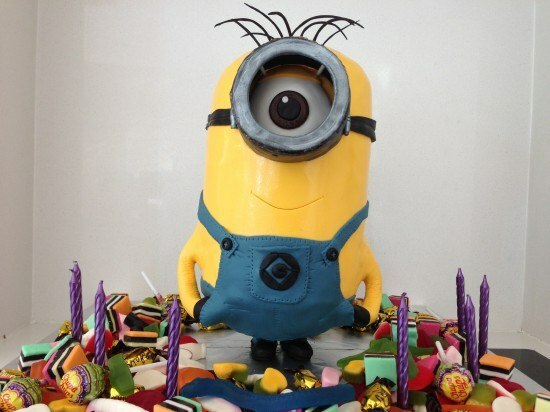 Which of these 10 amazing minion birthday cakes do you want to see at your child’s party? Share your thoughts with us below! 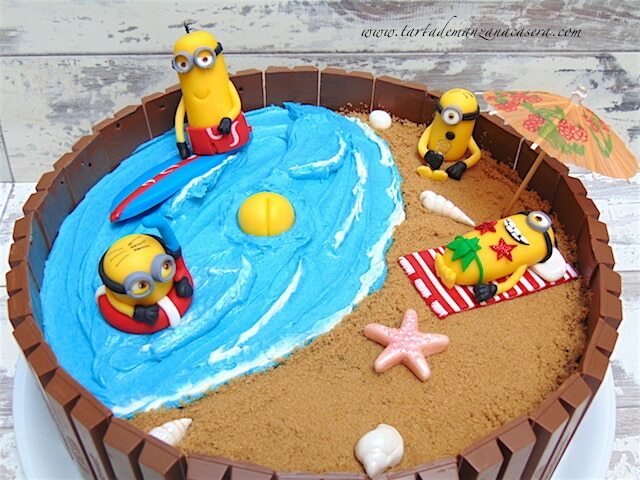 Hi Cristy, thank you so much for sharing my summer beach Minion cake. Anytime! Thanks for stopping by!